Citation: Czerniewicz, L., & Brown, C. (2013). 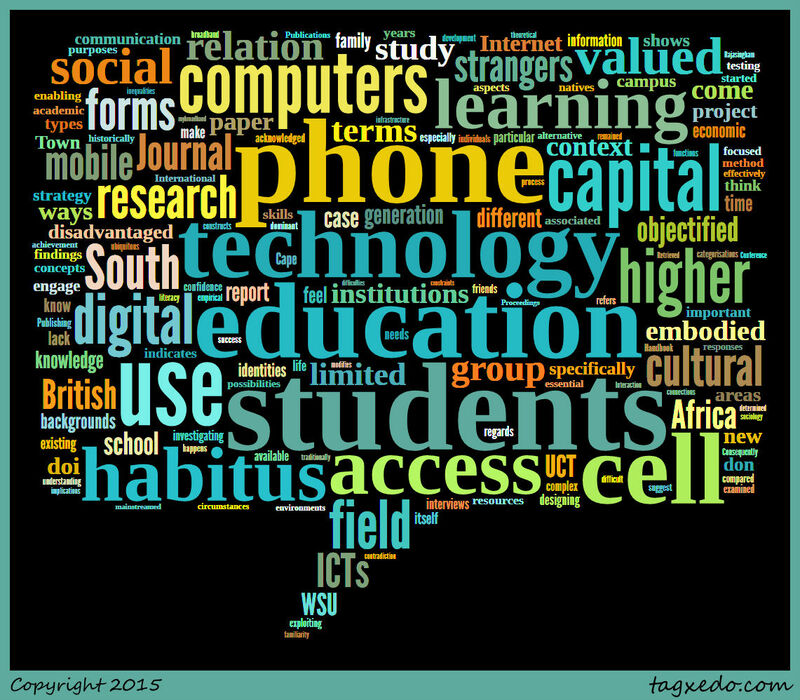 The habitus of digital “strangers” in higher education. British Journal of Educational Technology, 44(1), 44-53. Summary: This paper reported on phase three of ongoing research on “digital strangers” (college students under 22 lacking computer skills and out-of-school access), acquired through purposeful sampling for surveys and eventually, focus groups. The authors explored student's technological experience and usage through Bourdieu's concept of habitus, a frame that connects one's background with experiences to explicitly shape one's future. Since technology access impacts cultural and social capital, an absence of it, represents an absence of social and cultural capital. The group studied had access to cellphones but were rarely encouraged to view the cellphone as a learning tool. The authors illustrated that both within universities themselves and among students, the computer was given more respect than the phone (it holds symbolic and cultural value), though many functions can be completed on both. 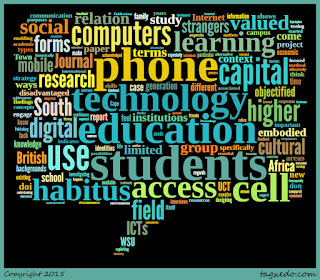 Transference of skills and knowledge about the cellphone were typically not brought to the computer as participants first learned about and continued to use computers. The researchers advocated for institutions to optimize students' comfortability with phones to enhance learning and help students shift their cultural capital of their phones to computers. This report’s focus on transference still did not address the initial lack of access and skills.